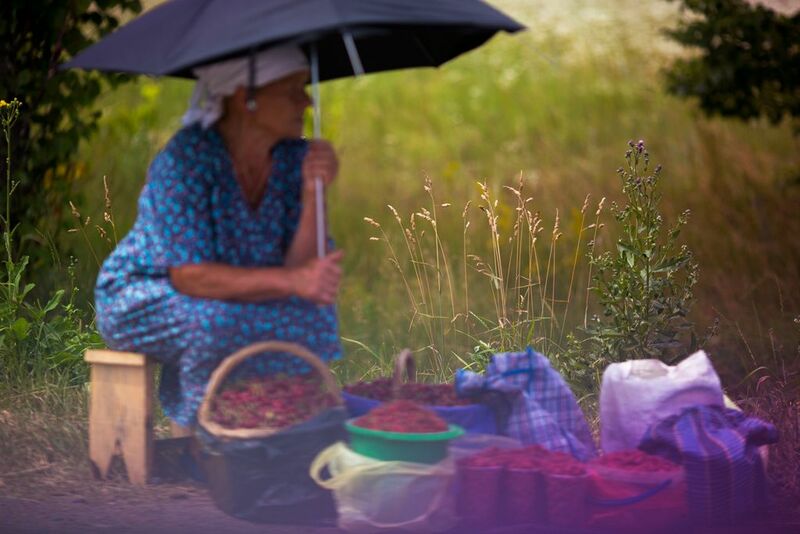 Lonely senior berry seller on the highway Kiev-Odessa. It was the middle of summer, the sun was extremely bright. Old lady tries to sell berries from her garden as most of the villagers do to earn some money for winter.